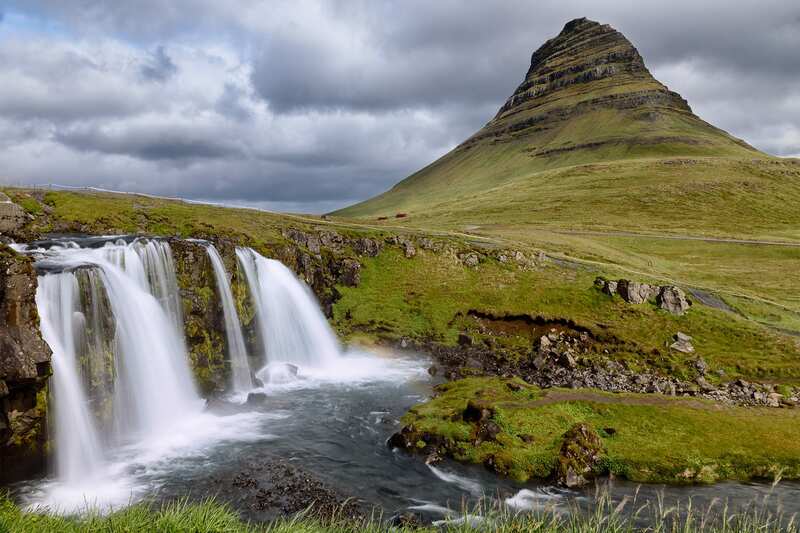 Discover the stunning waterfalls, volcanoes, glaciers and fascinating landscapes of West and South Iceland, while staying in quiet rural locations on this 5 day self guided tour of Iceland. 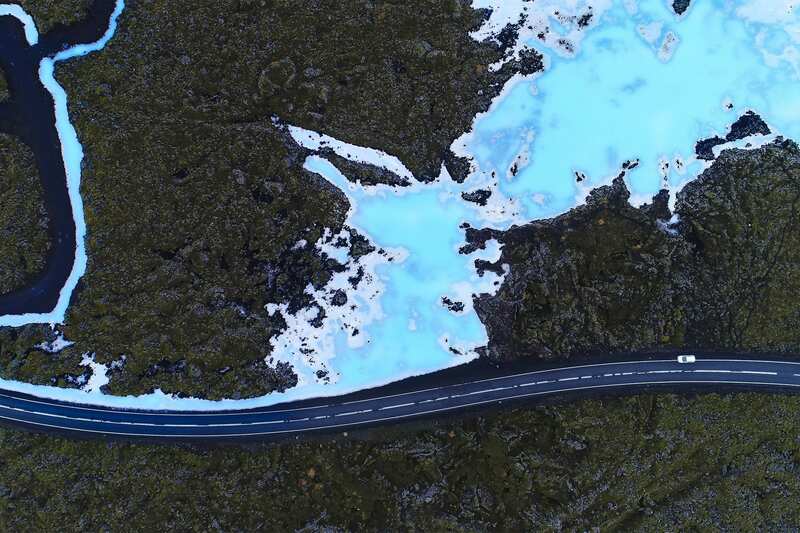 This 6 day / 5 night self drive tour takes you on the famous 'Golden Circle' route and along the south coast where you will experience stunning waterfalls, volcanoes and glaciers along the way. 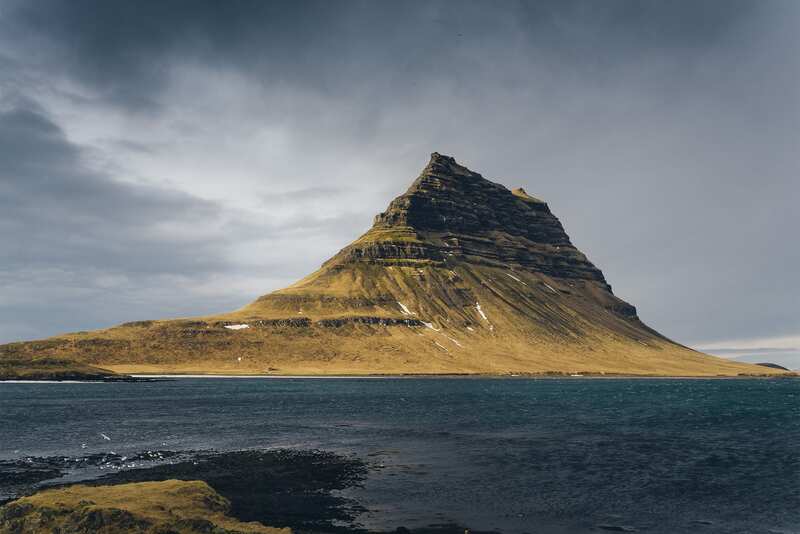 You will also visit Snæfellsnes peninsula for a picture perfect moment at Kirkjufell mountain and a visit into a deep and magnificent lava cave. *Available from 1 May to 30 September. Pick up your rental car at Keflavík airport upon arrival. 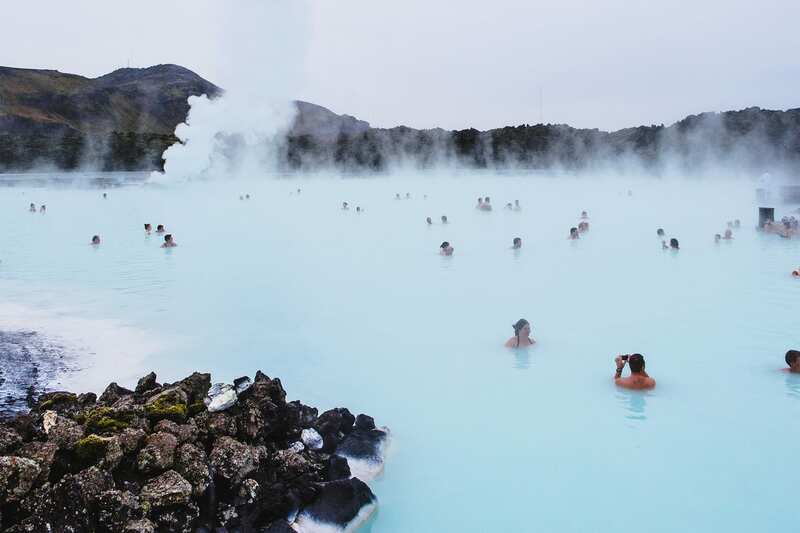 Visit the spectacular Blue Lagoon Geothermal Spa on the way from Keflavík International Airport (depending on your arrival time). Head along the South Shore road and stop by the pretty coastal villages of Stokkseyri and Eyrarbakki. 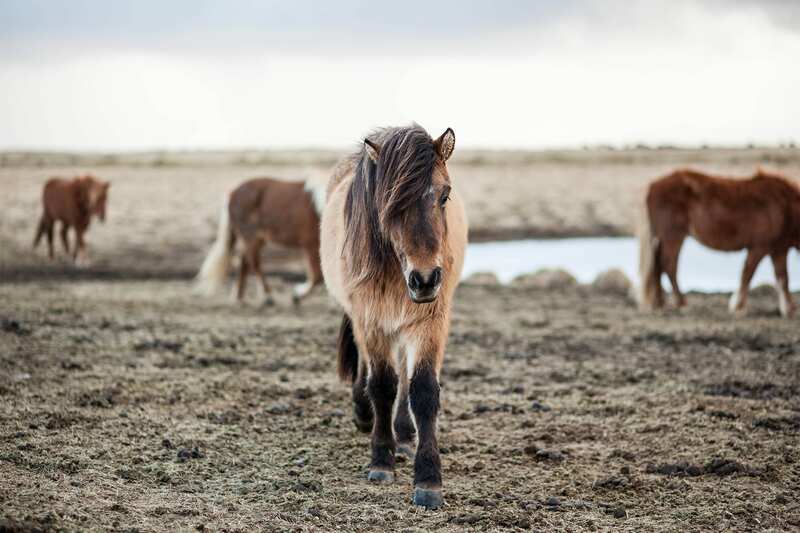 Continue towards Hveragerði town where nearby Eldhestar and Sólhestar offer horseback riding tours in a landscape of lava fields, natural hot springs, volcanoes and mountains. 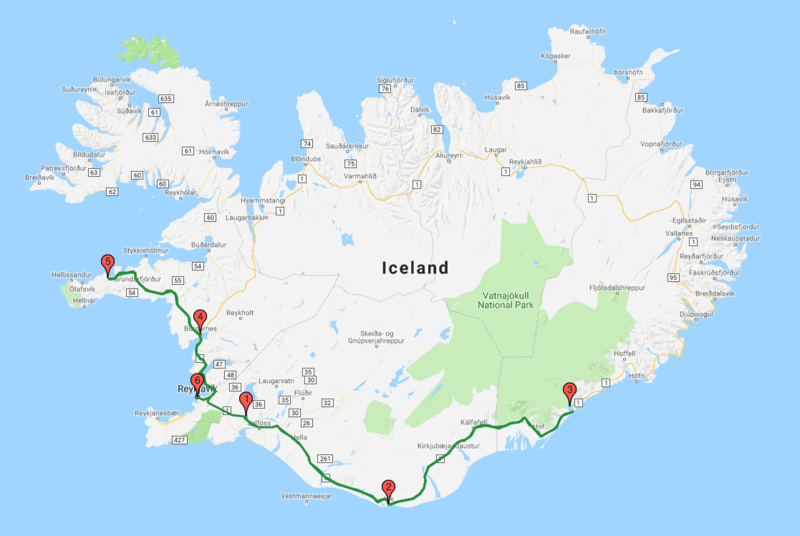 Accommodation in the Selfoss/Hella area. 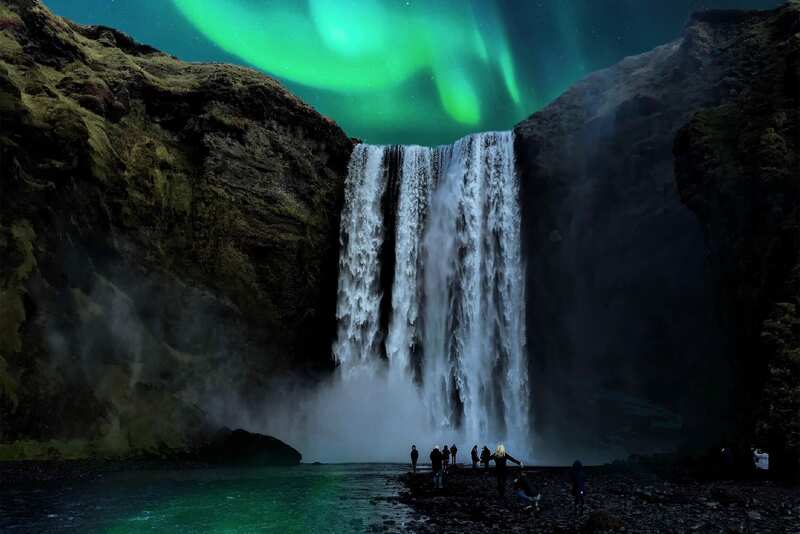 Visit the famous 'Golden Circle' sights; Þingvellir National Park, Geysir Hot Spring area and Gullfoss Waterfall. 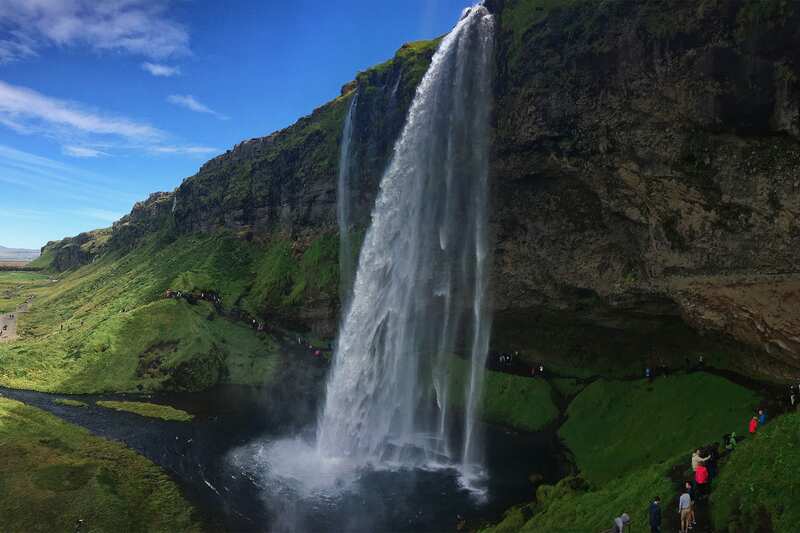 Further along the coast you will see the picturesque waterfalls Seljalandsfoss and Skógafoss and visit the largest volcano and earthquake exhibition in Iceland. 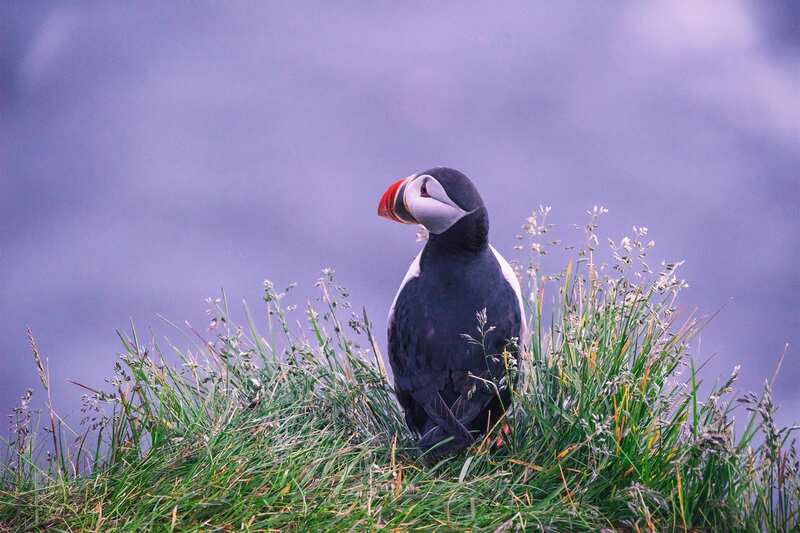 Head for the village of Vík, enjoy walking on a black sand beach and admire the majestic bird cliff Dyrhólaey. Accommodation in the Vík/Kirkjubæjarklaustur area. 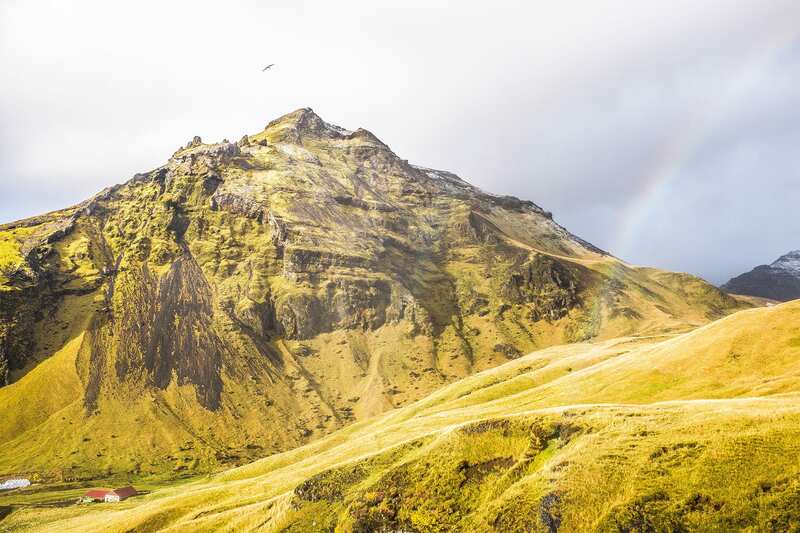 Continue to Skaftafell which part of Vatnajökull national park, with its beautiful contrasting landscapes of glaciers, black sands and lush green valleys. 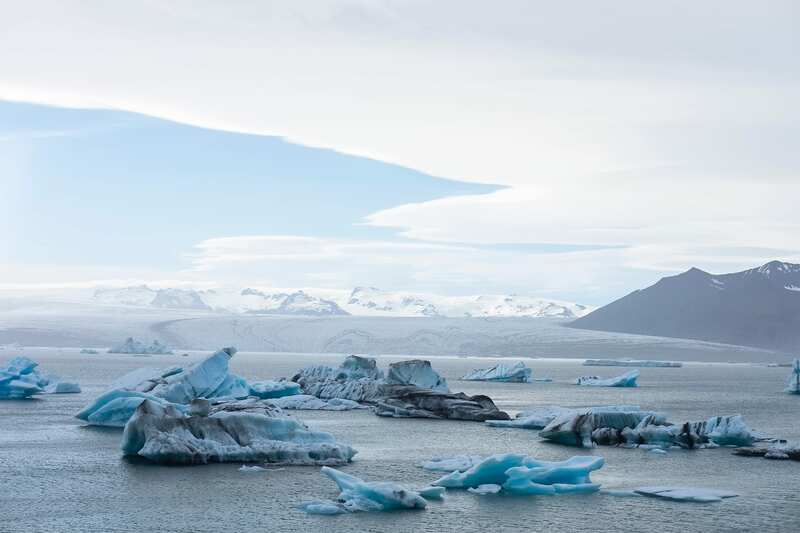 View the spectacular Jökulsárlón Glacier Lagoon. 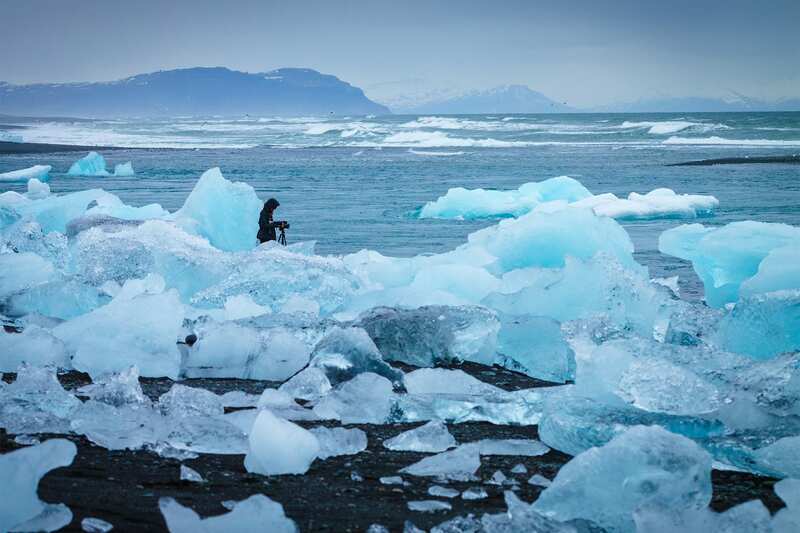 You can also opt to take an adventurous snowmobile tour on Mýrdalsjökull Glacier. Accommodation in the Skógarfoss/Vík area. 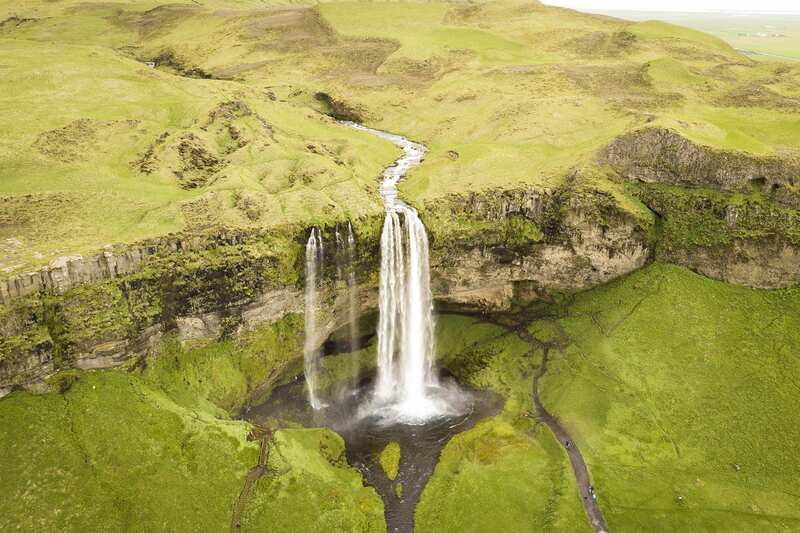 In Borgarfjörður district visit Hraunfossar waterfall where water streams out from the edges of the lava field and see the Iceland‘s most powerful hot spring, Deildartunguhver. Accommodation in the Borgarnes area. A morning visit to the Vatnshellir lava cave is a unique experience. Stop for a photo moment at the famous Kirkjufell mountain. 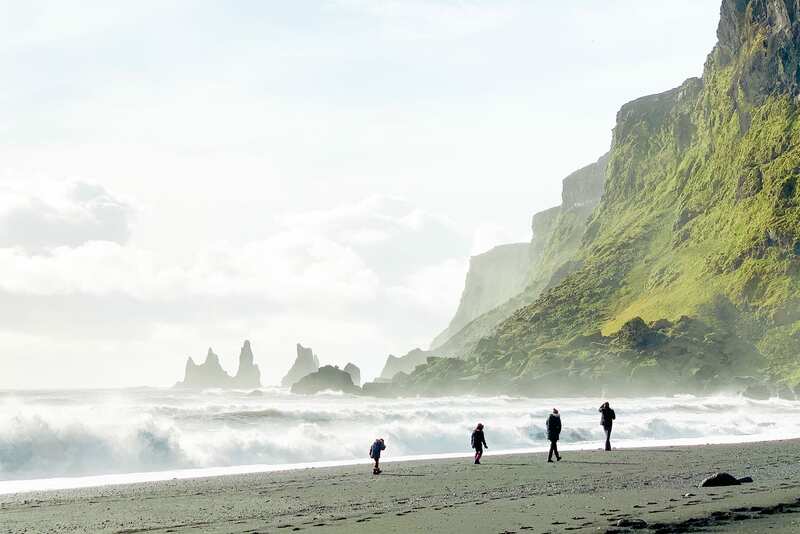 The beautiful sights of Snæfellsnes such as Djúpalónssandur black pebble beach, Lóndrangar cliffs, and Arnarstapi with its stunning sea cliffs. Enjoy spending the last day of your trip in Reykjavík, the capital city. 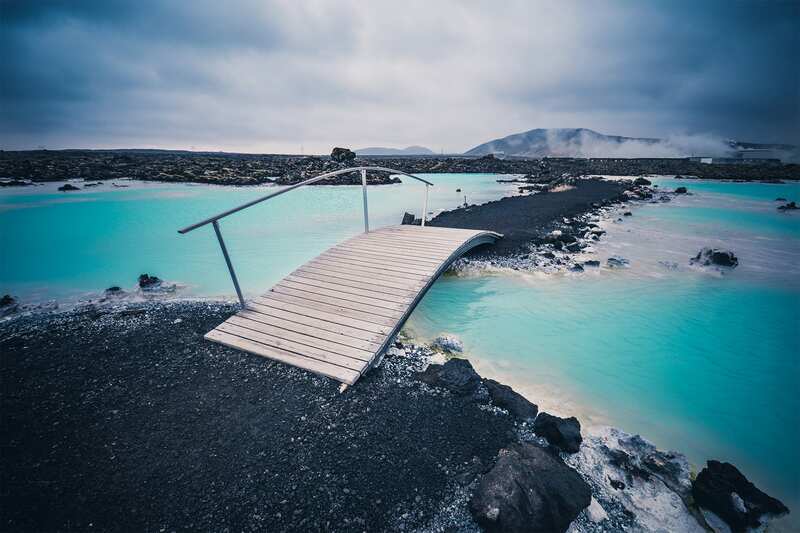 Reykjavík is a safe, clean, and vibrant city that has great museums, historic attractions, galleries, shops, open-air geothermal swimming pools and much more - so there is something for all to enjoy. While exploring the city, a taste of delicious Icelandic cuisine can be found in a variety of exciting restaurants located all over the city.